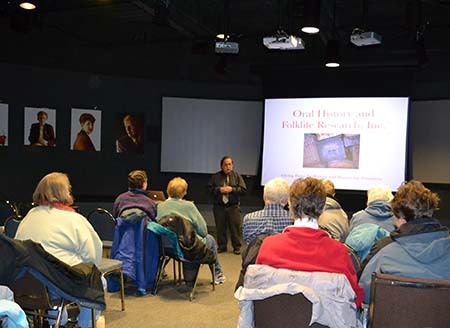 Oral History and Folklife Research conducts workshops and training sessions for volunteer oral history interviewers and community scholars. Our half-day workshop provides training in interview preparations, interview techniques, sound recording, legal issues and ethics and archival processing. The workshop provides opportunities for hands-on practical experiences in interviewing and working with audio equipment. Call 207-458-1377, or email for a consultation.